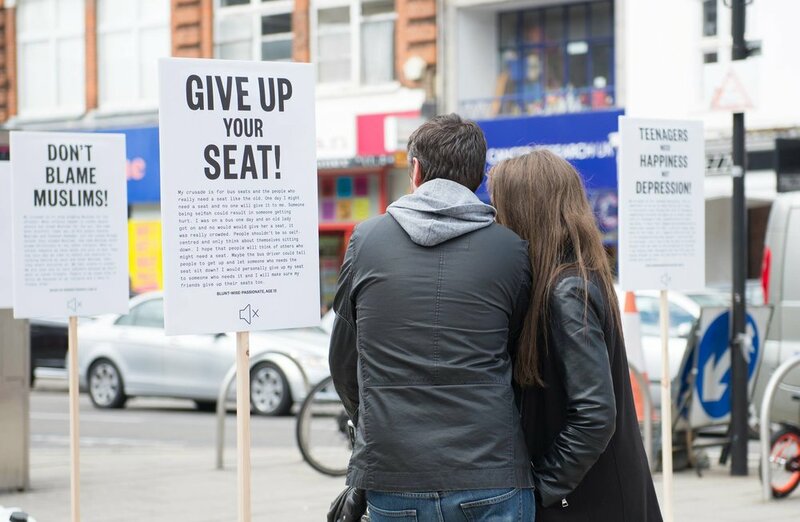 Silencer, designed and created by internationally acclaimed performance artist Mem Morrison, was a project which aimed to raise awareness of the political, cultural and individual challenges faced by local people living and working in Outer London. It gave a voice to the many unsung heroes who have helped shape communities. Centred around unity, censorship and togetherness, Silencer provided a platform which enabled everyone to have a voice and tell their stories or the stories of their friends and loved ones. It was a deliberate act to create something outwardly positive and to share our histories, aspirations and optimism for a better future. Silencer consisted of both a silent march and installation. 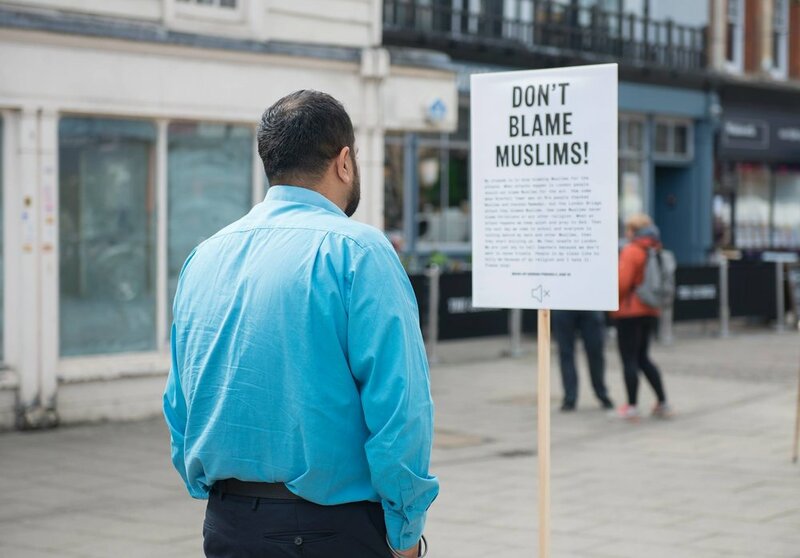 Local shopping streets were transformed into a sea of blank placards as individuals marched anonymously in support of their own causes and personal crusades. 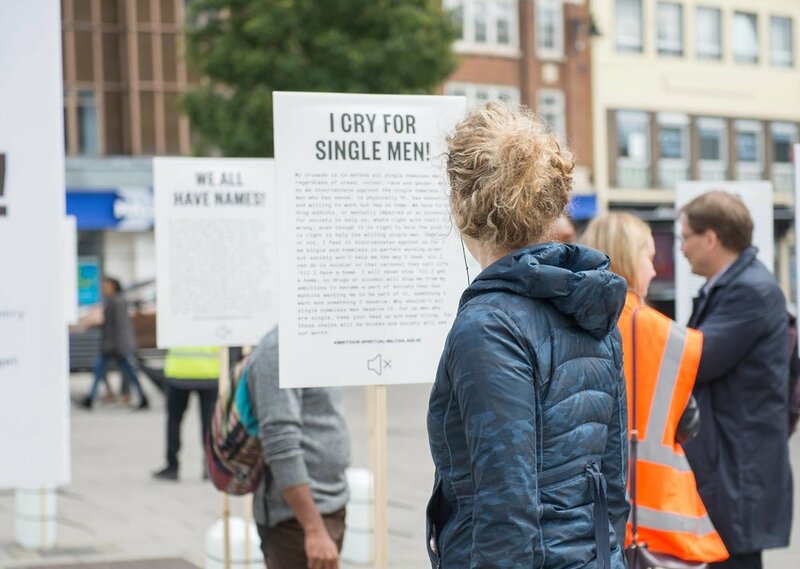 The march ended at the final installation space with placards that revealed the many contributed causes and stories people wished to be heard and acknowledged. Mem Morrison and his team worked with children, young people, older adults and families in a series of creative workshops during summer 2017 to form the personal crusades and stories that make up the Silencer installation. The participants were then invited to take part in the silent march in their local area. These workshops took place in Hounslow, Enfield, Lewisham and Newham. Video by Mem Morrison Company.